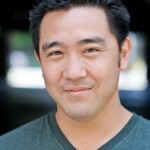 Jack Yang has devoted most of his life to acting and filmmaking. This Canadian-born Taiwanese-American actor studied film at the Art Center College of Design in Pasadena while establishing a career in modeling and commercials. His love of acting lead him to further studies at the American Academy of Dramatic Arts where he found inspiration and proper teaching. After two years of intensive theatrical training he was granted a scholarship to study at the South Coast Repertory Professional Conservatory Theater where he honed his skills. He has made memorable appearances in such shows as Law and Order: SVU, Nip/Tuck, CSI Miami, ER, Scrubs, BONES, Fringe, Grey’s Anatomy and the New Girl. Heather was born and raised in Pittsburgh, PA. In her hometown, she attended Carnegie Mellon University where she garnered a BFA in musical theater and then received her MFA in acting at the prestigious Yale School of Drama. She toured the country as a tap dancing and singing Ruby Keeler in “Jolson,” a musical about Al Jolson’s life. She has performed in New York City on Broadway and Off and moved to Los Angeles in 2004 to pursue more television and film. You have seen her on many tv shows, including CSI NY and MIAMI, THE MENTALIST, PRETTY LITTLE LIARS, CRIMINAL MINDS, the hit MTV comedy AWKWARD, and as “Amy Battaglia” in the tv show spin off of the Oscar winning movie CRASH. Zombie fans will remember her as “Sarah Cooper” in the George Romero remake of the film NIGHT OF THE LIVING DEAD. She recently got married in Newport Beach. Kate can currently be seen playing opposite Will Ferrell in the Warner Bros. feature The Campaign directed by Jay Roach and co-starring Zach Galifianakis, and has previously starred in films including Sony’s Fired Up, Behind the Mask, and Echoboom. Last year Kate was a regular on the NBC series Persons Unknown; she also has had guest starring roles on CBS’ CSI: NY, a splashy recurring role on The CW’s Hellcats, CSI: Miami, and a recurring role on Comedy Central’s Secret Girlfriend, among others. Kate currently lives in Los Angeles and is represented by Innovative Artists and McKeon Myones Entertainment. Zhou Xinfang, Tsai Chin’s career spans more than half a century from UK, USA and China. She studied at The Royal Academy of Dramatic Art, London and has a MA in Drama at Tufts University, Mass. (Later received The Distinguished Service for Profession Award). In 1980 after the Cultural Revolution, she was the first to be invited to Beijing from abroad to teach at The Central Academy of Dramatic Art, where she directed the premiere production of The Tempest by William Shakespeare. 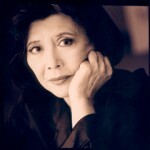 Tsai Chin has been twice a Bond girl (You Only Live Twice, Casino Royale), starred both in London’s West End and Broadway, (The World of Susie Wong, The Golden Child, winning an Obie Award), played two of the most powerful women in China of last century, Wang Kuang Mei (The Subject of Struggle. nominated best television actress in London) and Jiang Qing, (Madame Mao’s Memories). Her films includes The Joy Luck Club, Red Corner, Memoir of a Geisha. She recently starred as Jia Mu in The Dream of The Red Chamber, a 50 one-hour television series in China. Her bestselling autobiography , Daughter of Shanghai, will be a play by Tony Award winner, David Henry Hwang and produced by the soon to be launched, The Annenberg Arts Centre of Beverly Hills. Raymond Lee is a Los Angeles native, native to Los Angeles. He currently performs with his nationally touring, multi-award winning troupe, Four Clowns and have performed their inaugural show Four Clowns at notables venues such as South Coast Repertory, Sacred Fools Theatre, Open Fist, Neo-futurist (Chicago), Chopin Theatre (Chicago), The Gremlin (Minneapolis), and is scheduled for La MaMa (NY) in 2014. Television credits include: How I Met Your Mother (CBS), It’s Always Sunny in Philadelphia (FX), Hart of Dixie (CW), Zach Stone is Gonna Be Famous(MTV), Ben and Kate (FOX), Sam & Cat (NICK), and will be appearing the upcoming ABC pilot, Trophy Wife alongside Bradley Whitford. Film credits include: Farah Goes Bang (Tribeca 2013), A Leading Man. He has appeared in over ten national commercials and in addition to his acting, is a competent drummer. See more of his work at www.theraymondlee.com. 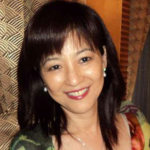 Pat Tsao is the founder, CEO, and President of INTECS International, Inc. With her entrepreneurial spirit and commitment to the customer, Ms. Tsao established INTECS as a leading information technology firm since 1988. Following the receipt of her Bachelor’s Degree of Science from Fu-Jen University in Taiwan in 1975, Ms. Tsao immigrated to the United States, where she pursued her master’s degree at Old Dominion University (from which she would later receive the Distinguished Alumni Award in 2002) in Virginia, finishing in 1983. Tsao completed her education at Dartmouth in 1995, having enrolled in the Advanced Minority Business Executive Program. Her efforts were to pay off with awards from both the Chinese government and Taiwan Industry Association, in the form of the Overseas Chinese Young Entrepreneur Award (1995) and the title of Woman Executive of the Year (1998), respectively. A distinguished member of the U.S. Air Force Woman Owned Business Council, Tsao has been asked to speak at numerous events, including APEC Technomart in 1998 and BusinessWeek’s Asia CEO Forum in 2004. Her membership in other organizations includes the U.S. Armed Forces Communications and Electronic Association (AFCEA), Virginia’s Woman in Technology, the National Association of Women Business Owners, the National Union of Taiwan Women Association, the Organization for Economic Cooperation and Development’s Project Tsunami, and the Texas College of Traditional Chinese Medicine in Austin, Texas. Ms. Tsao was a founding director for both the Association For Enterprise Integration (AFEI) and the Taiwan CALS Association; she was a director for Monte Jade Science and Technology Association for many years, and the founder of the Tidewater Chinese School in Norfolk, Virginia, where she also served as the first principal. She acted as advisor for both the Taiwan Government National Youth Commission and Epoch Foundation, affiliated with Massachusetts Institute of Technology. Finally, Pat Tsao was the Chairperson of ODU’s Institutional Advancement Committee from 2004 to 2008, having been appointed by Virginia’s former Governor Mark Warner. Currently Ms. Pat serves as Auditor of Taipei Fu-Jen Catholic University Alumni Association and advisor to National Association of Small & Medium Enterprises, ROC. She is the Chairperson of QTIP International Incorporation focusing on company core competency development, global branding, and executives coaching. As a producer of film and television projects, Ms. Tsao works to bring leadership, content, and financing to the intersection of the American and Chinese film industries. Cameron Bender was born and raised in Michigan, attending Michigan State University where he studied theater, film and performed as the world famous MSU Mascot, Sparty. He received no date offers from that fact, so he moved to Hollywood where people are less shallow. His first movie role was on Lethal Weapon 4, but he has starred in several independent films including Commander and Chief and Lesser Miracles.He has had several roles on TV shows such as Buffy the Vampire Slayer, My Name is Earl and Rules of Engagement. Currently he is filming a series regular role on the ABC mid-season episodic Mistresses. He feels he has locked down the “jerk with a heart of gold” niche and believes David continues that tradition. Born and raised in Oakland, California, Kenzo left the Bay Area to study at the University of California San Diego. During his time at UCSD, he studied under known Shakespeare mentor Jim Winker, worked with the La Jolla Playhouse, and traveled to Oxford, England with the British American Drama Academy. He moved to Los Angeles in 2003 and quickly was cast in MTV’s hidden camera show, Burned. Since then he has kept busy with independent film and television pieces including the Asian American gangster film, Baby, T-Mobile and MTV’s first web series, Connected, and the multimillion view web series Online Gamer. His has shot over 20 national and regional commercials including campaigns for T-Mobile, Southwest Airlines, Samsung, Enterprise, and Progressive Insurance. His sketch comedy show, All About Walken: The Impersonators of Christopher Walken has been running for over 6 years, has toured to New York and San Francisco, and can be seen regularly in Los Angeles. He performed in the CBS Diversity Comedy Showcase with Daily Show writer/comic Wyatt Cenac and Geoffrey Arand. He is currently working on developing his own works and preparing his webisode series Booking for production. Follow him on twitter @kenzolee. Alain Uy is a figment of your imagination. He is nowhere and everywhere at the same time. Born in the Philippines, he moved with his family to Los Angeles at the fun age of 6. Awkward at best, Alain Uy painfully went through the early parts of his adolescence as a wall flower of sorts – preferring the company of flying white dragon dogs named Falcor over anything else. After some urging from his older brother, Alain Uy begrudgingly enrolled himself into a drama class in the 8th grade in hopes of breaking out of his shell. To say that he did, would be an understatement. He shattered that proverbial shell of his. Alain found his voice. And he’s been yelling at the top of his lungs ever since. Now, Alain still resides in Los Angeles. He’s had guest starring roles on shows such as E.R., The OC, Monk, Journeyman, Sleeper Cell (Recurring), and Parenthood (TV) just to name a few. His next project is a supporting role in an independent movie called Rodeo Drive Diva. 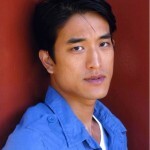 He’s also starring in a production with Michael K Williams, alongside fellow Leading Man alum, Jack Yang. Besides acting, Alain is also a writer and director. 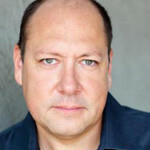 He’s directed commercials (MGM Grand Hotel) as well as a handful of short films (Keep it Moving). He’s also in development with Leverage (Entourage, Boardwalk Empire) for an original scripted TV show he’s penned. 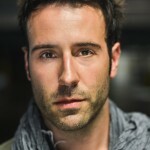 A native of Seattle, WA, Sam Marra has studied at the American Conservatory Theater in San Francisco and holds a B.A. from Loyola Marymount University in Film and Television Production with a minor in Theatre Arts. During his time there he appeared on stage in Dog Sees God and Night of the Living Dead among other productions. Currently based in Los Angeles, Sam has worked in films, theatre, commercials, music videos and continues to add to a growing list of other projects. Entrepreneur, Methodist Hospital Foundation Board member, mother, philanthropist…and singer. Angela Y. Fu, is President of Ying Enterprises Inc., for investments including Real Estate Development, which were founded in 1996. Angela Y. Fu is a great supporter of education, cultural and community service. She has provided considerable supports to Huntington Library and Botanical Gardens, Huntington Memorial Hospital , Pasadena Symphony Orchestra, Lions Clubs and Fu Jen Catholic University ; other community needs. Angela Fu organized fund-raising drives and raised considerable funds for Los Angeles County Foster Homes in 2004 at Hollywood Park with over 1000 guest attendance and Methodist Hospital Foundation Emergency room service in 2005 at Huntington Ritz Carlton Hotel, chairing crystal Ball 2008 for Methodist Hospital Foundation; and others. Angela Y. Fu was born a music lover. She had made her singings professional recording since age of 10 and had been piano teacher during her college years. Angela Y. Fu has joined Climax Band as leading female vocalist since 2005. 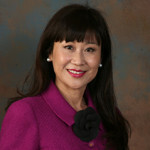 Angela Y.Fu serves as a Director of Methodist Hospital Foundation since 2004. Angela Y. Fu graduated from Fu Jen Catholic University in Taiwan, majoring in Japanese ; received a Master of Business Administration from California Lutheran University , and achieved a professional development certification from Cornell University for Hotel management and development. With standout roles in numerous television projects, Coby Ryan McLaughlin is a rising star to be reckoned with. 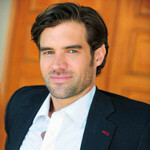 Coby can currently be seen recurring in, not one, but 2 hit primetime series, ABC’s “Women’s Murder Club” as Dr. Luke Bowen and Fox’s “Back to You” alongside Kelsey Grammer and Patricia Heaton where he plays “Craig Sinclair,” the hot, new young love interest for Heaton’s character “Kelly Carr.” In addition, McLaughlin has made memorable appearances on other popular television shows such as “Shark” with James Woods and Fox’s crime drama “Bones.” Some of his earlier work includes landing lead roles in the pilots “Genetically Challenged” for FOX and “Inseparable” for CBS alongside veteran actors Christine Baranski and Ed O’Neill. McLaughlin’s talents have also found their way into the world of feature films with impressive work in the projects “The Trouble With Romance” and “Lost Treasure” with Nicollette Sheridan and Stephen Baldwin. Coby is an accomplished musician who enjoys, professional car racing, rock climbing and skiing.